We are looking to identify new and seasoned enthusiastic, community-driven, and socially-conscious developers who share our interest in investing in the future of Kensington and are committed to removing blight and deteriorated properties, creating more quality, affordable housing, and making Kensington a better place to live, work and enjoy. Jumpstart participants should come with a specific project in mind. 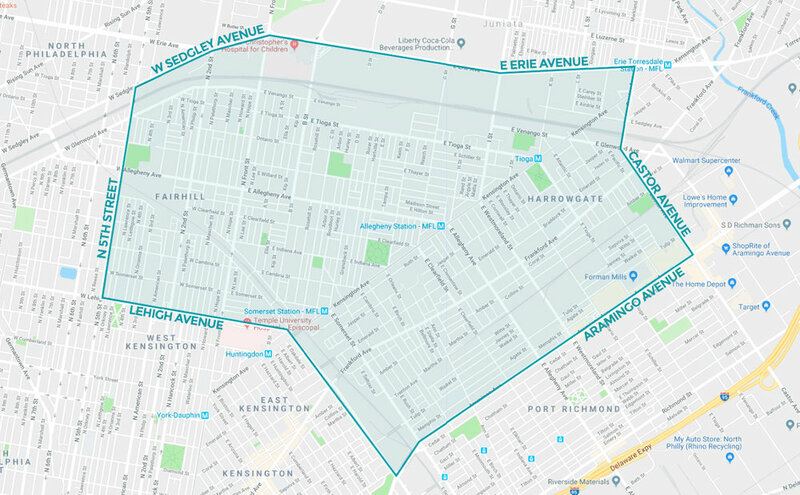 The boundaries are: moving clockwise, Lehigh Ave, N. 5th St, Sedgley/Erie Ave, Castor Ave, and Aramingo Ave. If your project is slightly outside of these boundaries, they will be reviewed on a case-by-case basis. The Developers’ Network meets four times per year, allowing participants to hear an informative guest speaker(s) and network with other developers, industry leaders, and service providers. Between Network meetings, developers can join and communicate on the Jumpstart Kensington’s Facebook page, to ask for guidance, share thoughts and insights, and communicate best practices.. The Jumpstart Kensington Training Program educates novice developers through nine hours of in-person instruction on real estate business models, property sourcing, design and construction, financing and cost estimation, and leasing and selling property. 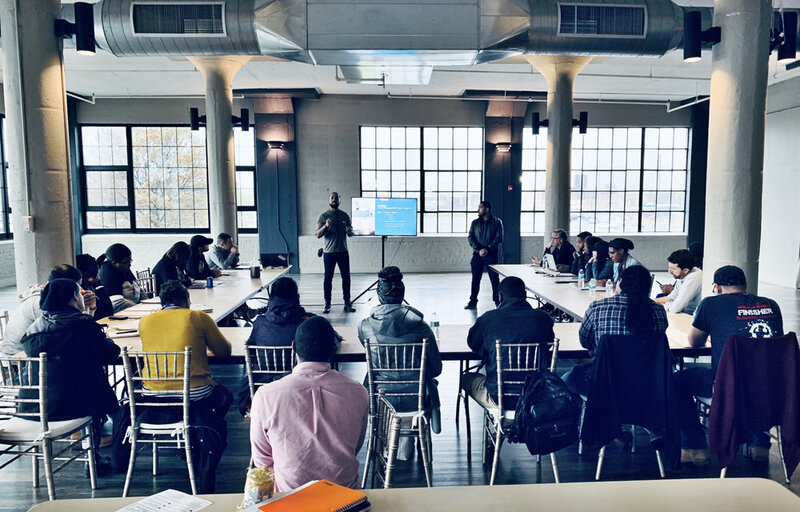 Once a Jumpstart participant graduates the training program, they are assigned an industry veteran as a mentor to guide them through their next development project, providing invaluable guidance, support, and connections from start to finish. If you are interested in being a mentor, click here. Four training cohorts will run each year, with participants expected to commit to three weekday afternoons (usually 2-5PM) in three consecutive weeks. The Jumpstart Kensington Loan Program provides financial resources for the acquisition and construction of residential properties in Northern Kensington. The Loan Program is available to both experienced and novice developers but novice developers are required to first participate in the Training Program. Projects being considered for the Loan Program must be within the boundaries outlined above. At this time, loans are only being offered to Training Program participants and additional information will be provided during the Training Program.